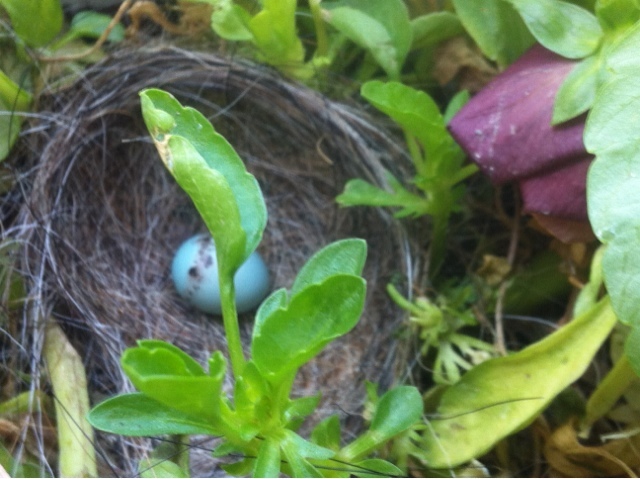 We found a little surprise when we watered the hanging flower basket. A little Finch had made it it's home sweet home. The girls are anxiously awaiting for the egg to hatch.